Although discontinued in 2010, the Chrysler Sebring remains a sought-after used sedan for its sleek styling, sporty feel, and comfortable seating. Standard features for the Chrysler Sebring include air conditioning, cruise control, power windows, and an AM/FM radio. If you’re shopping for a used Chrysler Sebring for sale, look below to explore your options at Cactus Jack's Auto near Mesa and Surprise. We appreciate your interest in our inventory, and apologize we do not have model details displaying on the website at this time. Please fill the form out below and our team will quickly respond to you. 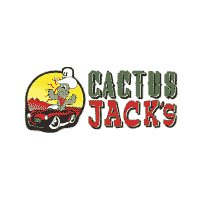 Why Buy a Used Chrysler Sebring for Sale at Cactus Jack's Auto? Whether you’re shopping for the best used cars for families, or used sports cars, Cactus Jack's Auto is your reliable source. We offer a wide selection of pre-owned vehicles for Glendale shoppers, including 0 used Chrysler Sebring for sale. Additionally, we offer a Buy Here, Pay Here Program, so drivers with less than perfect credit can finance the car they want. If you have questions about our used Sebrings, or weekly specials, contact us!